Willie Clemons and his Bodens BK teammates got a real nightmare start when Piteå took the lead in the 2nd minute when Johannes Lidström who could scored the open goal. Despite creating several chances Bodens BK went to the break down 1 – 0. 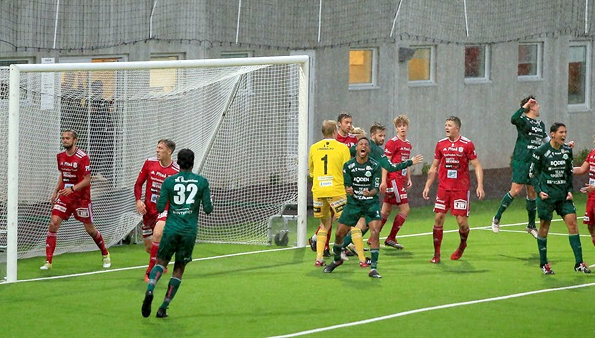 More chances were created in the second half, but it was not until the 90th minute that Bodens BK found the equalizer as substitute Jack Serrant-Green would score from a corner kick.